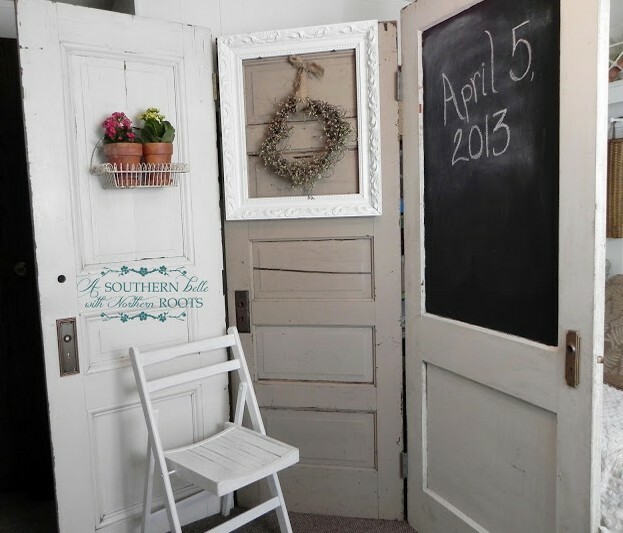 Turn old doors into a photobooth background by just putting them together and adding a few decorations! Learn more about this idea on the source. See this idea with doors that have glass panes. See this idea using a single door.